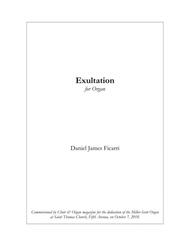 Composed by Daniel James Ficarri. 21st Century, Sacred, Repertoire, Easter, Recital. Score. 7 pages. 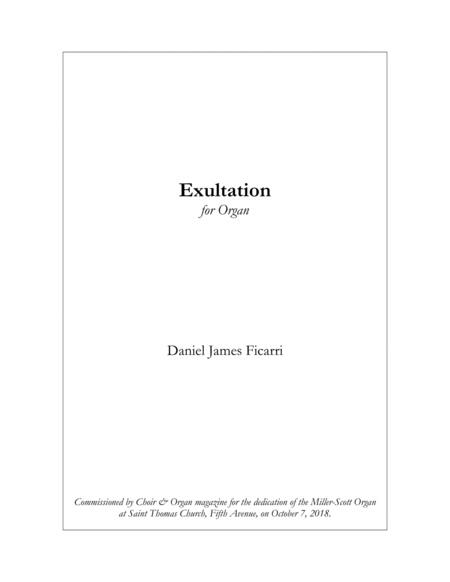 Published by Daniel Ficarri, Organist and Composer (S0.532069). This festive fanfare was commissioned by Choir & Organ magazine for the dedication of the Miller-Scott organ at Saint Thomas Church, Fifth Avenue, on October 7, 2018.